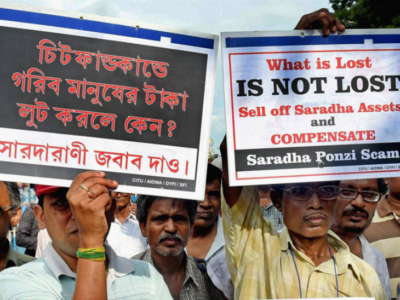 New Delhi (India), Feb 7 (ANI): The Central Bureau of Investigation (CBI) has summoned Kolkata Police Commissioner Rajeev Kumar for questioning on February 9 in the case related to Saradha chit fund scam. Supreme Courthad directed the 1989-batch IPS officer to appear before the CBI in connection with the scam. The apex Court had said that no coercive step should be taken against Kumar, who will now appear before the probe agency in Shillong in Meghalaya. ‘dharna’ organised by West Bengal Chief MinisterMamata Banerjeein Kolkata in protest against the CBI’s move to enter Kumar’s office without any warrant from the competent court. ‘Save the Constitution dharna’ which she had started on Sunday night after theCBI’s attempt to arrest Kumar. I don’t have the Birth details of Mr. Rajeev Kumar But I have the Date of Joining as Kolkata Police Commissioner as the 29th Jan. 2016 and I will use this Parameter to evaluate what could be his Fate on the 20th Feb. 2019 when the Supreme court again takes up the Chit fund Case. Kolkata, Jan 29 (PTI) In a major reshuffle in the IPS cadre in West Bengal, Additional Director General of Police, CID, Rajeev Kumar, has been appointed as new Kolkata Police Commissioner replacing Surajit Kar Purakayastha. A 1989 batch IPS officer, Kumar had earlier worked as Commissioner of Police, Bidhannagar Police Commissionerate and as Special Task Force (STF) chief under Kolkata Police. 1.The Moon Sign Lord Mercury and the 10th Lord from Moon is placed in the 4th from the Moon with 9th Lord Venus forming a Strong Rajyoga in the house of Throne. 2. Moon must be in the nakshatra of Uttra Phalguni or the Nakshatra of Haste the Nakshatra of Ganeshji but in Paap Kartari yoga . 3. Sun the planet of Govt.and Power is afflicted by the 6th and the 8th Lord Saturn and Mars respectively. 4.Mars also aspects the 8th house from the 2nd house of speech and conversation and when the Case is Taken up in the Court on the 5th Feb. 2019 the Planet is in the 8th house and in Gandantha and also on the 20th Feb. 2019 when the Court takes up the case . In Fact the War Between Mamta and CBI has escalated only after Mars has ingressed in the sign Aries and afflicting the Jupiter the Most significiant planet in the whole episode . 5.Jupiter is afflicted badly in the Chart and also aspected by Saturn at the time of Joining. 6. Karya Siddhi Lord 4th Lord of Throne and the 7th Lord on the Day is Jupiter as the Karna Lord and under acute affliction since in Retrogression with Rahu degree- Conjunct forming a Guru Chandal Yoga in the 12th house from Moon and also aspected by Saturn. This Jupiter under affliction aspects the 4th house also . Jupiter can be compared with an Elephant in Animals and when this elephant goes mad it has the capacity to Ruin the Jungle. This Jupiter in Transit will ingress in the Sign Sagitarius where the Rajyoga is taking place on the 29th March 2019 and then go in Retrogression on the 10th April 2019 at 00.13 degrees and will be in Gandantha when it turns Retorgrade and also Stationary for 4 days before it goes in Retrogression and hence 6th April 2019. This Jupiter will Fall back on the Natal Saturn at the time he joined the Service and reach the Saturn degrees on the 11th-12th August 2019 at 20 degrees . During this time it will be in a fallen State and most Venomous . Hence the Time frame from 29th March when Jupiter joins Sagitarius sign where Saturn and Ketu are Placed till the time it is Retrograde till 11th-12th August can prove to be a Bolt from the Blue for him. During this time the House of Throne and the Lord will be under acute afflictin as mentioned above since Jupiter, Ketu and Saturn will be over his Mercury and Venus. 7. Saturn is already in this house of Throne over the Natal Mercury Degree-wise at 22 when the CBI Team will question him tomorrow on the 9th Feb. 2019. Mercury in Transit then will be in the 6th house again aspected by Saturn and this Saturn will again aspect this Mercury in the 6th house degre-wise on the 20th-21st feb. 2019 and can prove most bvenomous for him on the 20th Feb. 2019. Mercury is all the Laptop, Pendrive and other documents to Prove the facts. All the above is Astrology and not my Personal opinion.